Looking for something unique to do with all of your excess holiday food? 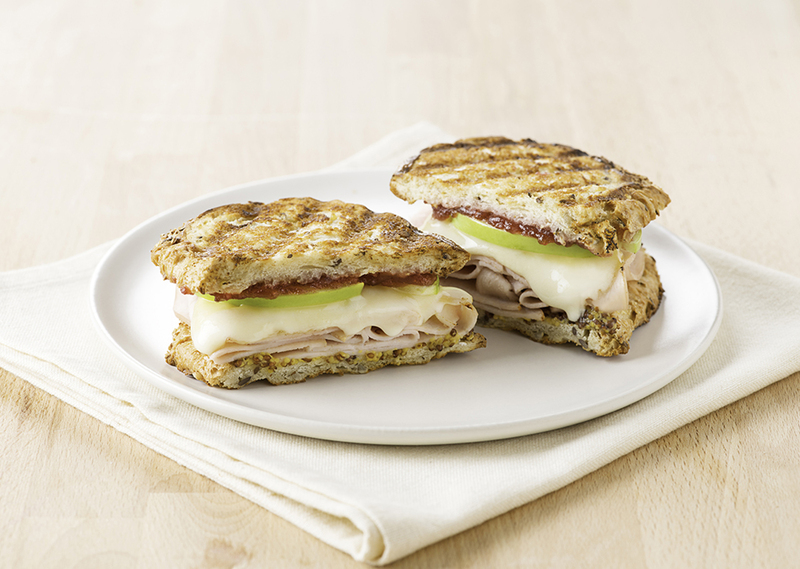 This ultimate turkey sandwich with Brie and apple is a delicious way to power through those leftovers. Preheat George Foreman Grill for 3 minutes with lid closed. Spread grainy mustard evenly onto 4 bread slices. Top with turkey, Brie slices and apple slices. Spread cranberry sauce on remaining bread slices and place on top. Butter outside of bread slices. Place on grill, cook for 5 to 7 minutes, or until bread is toasted and cheese is melted. Serve warm. Tip: Just as delicious with smoked turkey or ham. For the Evolve grill, preheat to 375° and cook sandwich for 4 minutes. For the Indoor|Outdoor grill, preheat to Setting 3 and cook for 3-4 minutes per side.